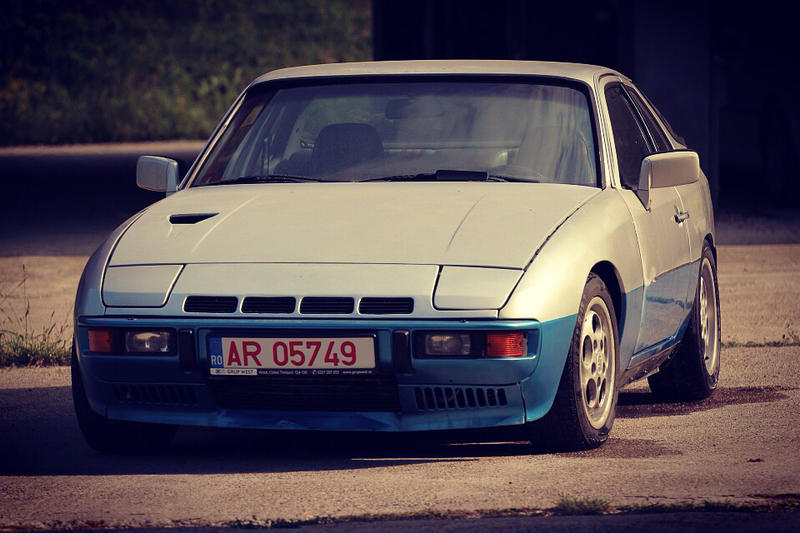 As promised, I will post here more info about my 931. I'll try to gradually post some info in this thread, and hopefully few posts later, I'll reach the current state of her resurrection. So there I'm talking to my friend that had like 20+ transaxles already, including 924, 968, 928, 944... and he's complaining that he has a 931 he wants to keep, but has no time to work on her, as there is something wrong with the engine. Half a year later he's calling me and asking if I'd take her, as he did literally speaking nothing with the car for a half of year. Anyway I always claimed the worst work is with body works, and I was never afraid of the mechanics. So here are few photos from rainy December in 2016 when I bought her. Unfortunately during that 6 months, my friend decided to sell pascha door sides, as he said he feels dizzy with that interior... So I needed to search the web and find a missing piece. As it just happens I'm trying at the same time to rebuild some cars, and finish my garage construction, the time just flies by. So this is how it looks from the outside - as you can see a lot of works still needed to finish my garage. So I lift the engine out, put it on a stand. And have a closer look! Well to me the 3rd con rod looks a bit wavy, right? So I took the chance to remove it, and voila! Believe me or not, what you can see below is the only mechanical damage caused by that con rod to the engine! At this point I surely started wondering what might have happened to this engine... And honestly at that stage I had completely no idea, zero, nada. What was the cause of such damage? Keep track of this thread to lear more soon! Hey, I did that yesterday too..
That rod is sweet, definitely a wall hanger.. I am very curious to see what the top of the piston and head look like..
Ahh I see you said it locked up..
Really fast accumulation of coolant or oil or fuel in the combustion chamber? That was my idea and it's what happened in the end. Air does compress, liquids do not. If engine was running and there was enough fluid inside combusion chamber, with valves closed - there we have it, weakest part fails - con rod. That would explain no physical demage to valves, cylinder and piston. The question remains - what was the fluid, and where did it get from. Massive leak of the injector? Guy started the car with foot on the throttle, there was a lot of gas in the chamber...? As I was planning to do a full rebuilt with new seals and gaskets (got the Victor Reins ones, as the genuine Porsche were twice as expensive :-/ ) I just gave cylinder block and head to machining shop so they could earn some bucks as well. I really like assembling engines with manual in one hand and set of proper wrenches and sockets! I'm still far far away from my 931 CIS journey... That is still on unfortunately. I think US/Canada cars had some kind of exhaust recalculation valve or so here, in EU specs there is just place for two bolts that I used for balancing the engine. BTW where this thing goes??? Before I cranked the engine for the first time I did some checks. Fuel filter... Well it looked like the one installed in factory? It took me a while to figure out where I can get the replacement filter from, and it seems BMW E21 is a direct replacement! I was really positive before cranking the engine. Although the pressures were not there yet with WUR, but I've done that on some 911 already. BTW I hate WUR location in 931 I ended up removing it and using extension fuel lines with the dial ad it was not possible to do any set-up. It was not the injectors, nor the fuel pump, nor the WUR. The fuel distributor was letting through fuel to injector #3 all the time there was pressure in the CIS. It was literally flooding the combustion chamber. My assumption is that at one moment when engine was running on 3 cylinders, the amount of gas in combustion chamber was growing to a level when it was rock solid fluid between piston and head with closed valves and bump! Here we have a bent rod. If you have a hole in your head there under your custom lift point I think that is for the latest 931 cars that had an updates turbo drain and crankcase breathing system.. This is the turbo drain part.. I suspect that you're confusing the "head breather update" with the "crankcase breather". The crankcase breather is standard on all the 2.0L, turbocharged or not, and uses the same insert on the block, just under the intake manifold (hard to see and get to with the engine in situ). 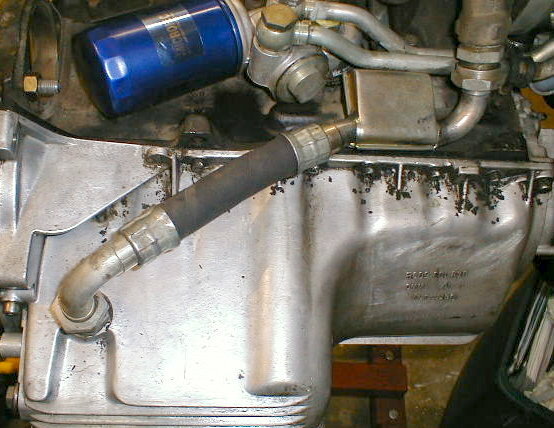 The only difference between the NA and the 931 is that the NA has a restrictor in the hose; in both cases, the hose from the breather port is plumbed into the airbox (although the routing is obviously a little different due to the different design and locations of the respective airboxes). The "head breather update" went through at least three iterations, and is unique to the 931. The theory I have seen postulated is that the original turbo oil drain was prone to clogging due to the oil getting aerated due to poor head breathing; the foamed oil would congeal and turn into sludge in the oil drain, and eventually clog, leading to premature bearing failure in the turbo. The so-called head breather update was added to assist in aspiration/air-oil-separation of the drain setup by allowing vacuum from the head to be drawn on the oil drain line. There is a port on the side of the 931 head that has a hole in it, with a cover plate and metal elbow welded on. A variety of small rubber elbows and straight hardline sections connect the head breather port to the turbo drain assembly. As noted, there were at least three variations of the oil drain setup + breather setup. The S1 had no head breather and a fairly simple drain line. The S2s had two different iterations of the drain line with a funky metal box that forms a Y from the oil drain and the head breather port. I don't recall the exact nuances between the two versions, but there were definitely two different arrangements of this setup. FWIW, my 81 Euro has the latest iteration; I have also seen S2 cars with the middle iteration, and I have seen S1 cars with the latest iteration. I believe this is because these updates should have been performed by a dealer-maintained vehicle at the prompting of a Porsche Technical Service Note. (Aside from the last item, all of the above are included in the 931 Vac Elbow Kits that I offer on my website). If you don't have all of that maybe your head is from a car that did or something.. The thing was, at that stage I was not getting any change in fuel pressure when the WUR warmed up. So I stripped it down. Having the WUR in hand I decided to convert it to adjustable WUR by installing a bolt, washer and a nut in cold pressure regulation barrel. So I thought - finally I nailed it! Next weekend I'll get a clean engine start and finally after year and a half I will have a ride with my 2016 Christmas present! Well for sure there is something messed around with that engine. Just to mention I have the early shaped pistons and DITC that came much much later... I definitely don't have a hole in the head there under my bracket, but the setup around the oil pan looks as mine.